“Only six months have passed since Christina Grimmie, a rising star and gifted singer from South Jersey, lost her life to senseless violence. But Christina’s spirit continues to inspire people. 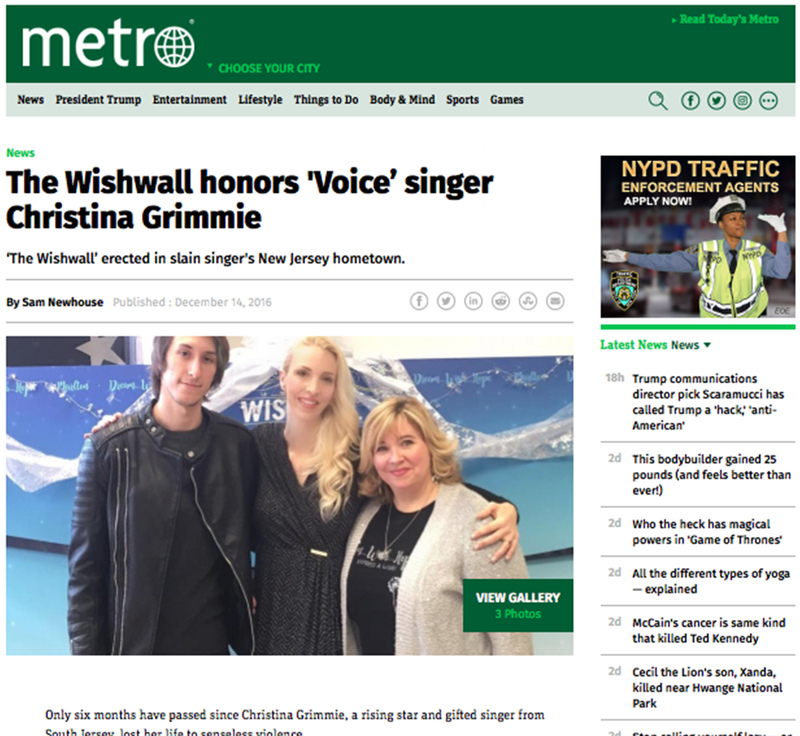 “It’s just amazing that other people who didn’t even know her feel touched by her,” said Christina’s brother, Marc Grimmie, 24, aftera ceremony Saturday to dedicate a “Wishwall” inher memory inMarlton, New Jersey, where they had lived.